Few people understand this better than Vistage speaker Lars Tewes. 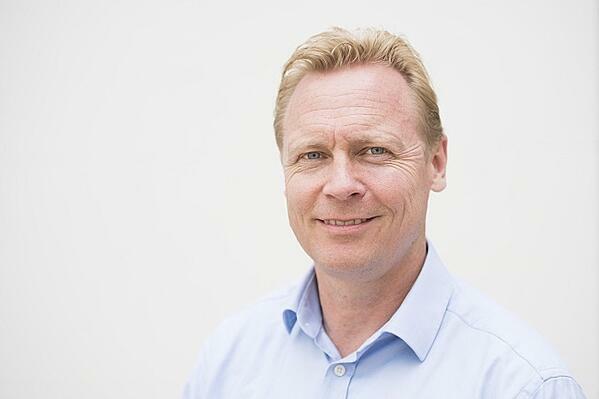 Lars has over 25 years’ experience in sales and sales leadership and in 2002 set up SBR Consulting to tackle the issues of business development, from a strategic viewpoint. Over the past 10 years he has worked with over 250 firms, from entrepreneurial start-ups to global financial and engineering and consultancy practices, to help them improve their sales potential. Lars is one of the workshop hosts and speakers at Vistage’s upcoming Sales Leadership Forum in London on March 19th, 2018, so we caught up with him to pick his brain on the new developments in sales, the increasing role of marketing in the sales function and the need for strong strategy. Lars, if you speak to any marketer, they will tell you that marketing is now eating up more of the sales process than ever before, and that customers essentially sell to themselves by doing their own research online. Where is sales at as a function right now? LT: It’s interesting because there are numerous articles and conferences on marketing versus sales: this is nothing new – the debate has been going on for over 30 years. Some marketing organisations still actively disassociate themselves from ‘sales’, seeing it as a dirty word and marketing, I think, has positioned itself slightly higher up the food chain. It’s done a great job of “selling” itself. But there is a clear correlation between the two; they need each other. If you had an incredible marketing campaign involving vast marketing spend, but the sales people can’t sell, then ROI isn’t achieved and marketing can’t pay for itself. Equally, if marketers don’t bring the right people to the table, sales teams can’t do their job either. Both departments need each other more than ever. The role of the sales professional is not dead. A marketer would probably dispute this, but as a sales consultant, I would say that marketing is part of the sales process – one aspect of the front-end – whereas sales plays a much bigger overall function across any business. What’s interesting though – and I think this is the biggest issue – is that marketing is often seen by people as an easy alternative to sales. It doesn’t require dealing with direct conversations, articulation of consultative questioning to help the client buy the right solutions and doesn’t require the same resilience that’s required from individuals on the sales side. What people have forgotten is that most businesses already know who their buyers are. What they need is to spend more time on the phone with them, meeting them and building relationships with them as people, instead of relying on marketing communications. Marketing can grab attention, but trust is built on relationships. This combination is what great sales and service are all about. Marketing is brilliant for bringing in leads and provides invaluable help in this respect. However, if a business thinks their sales are going to grow because of marketing, without a commitment to proactive sales relationship-building, they will miss out on a lot of easy wins. Where does the business leader sit in the sales conversation, and what should their role be? LT: Having worked with Vistage for the last six years, there are three phases most business owners go through on the sales side, particularly if they founded the business. The first phase is when they create the product or service which they have a real conviction for. In this first phase, the founder typically has an incredible passion for their business offering. This is natural: they’re invested heavily in their company. In the second phase, the founder goes to market as a sales professional, working with their intelligence, conviction and technical knowledge. They bring in the major clients personally via face-to-face sales meetings. Few achieve results through digital marketing, at this stage. In the third stage, the founders seek to scale their operation. However, they can’t create another version of themselves. In this stage, they therefore need to bring ‘conscious competency’ and rigour to the sales process for their business; a process which, until this point, has only existed in their mind. This is often painful. Most founders are ‘unconsciously competent’ at making sales, and it’s not easy for them to pass on their knowledge, experience or, often, level of passion to others. What should a business leader do to pass on their insight? LT: When you own a business, your passion comes across in sales meetings. Salespeople who haven’t experienced the business’ journey and challenges from its infancy rely on more structure and process around their sales activity. The business’ founder must be willing to invest in a sales process that can happen without them. This creates a problem of its own. Many businesses bring on-board an effective sales person to help them sell, then promote that person to the position of sales director or sales manager based on their ability to sell, as opposed to their ability to manage and lead. This is what the Sales Director Forum is all about. We want business leaders and their sales managers to attend and understand the structures available that they can implement to build an effective, rigorous sales function. Most Vistage business leaders have created incredible processes around their operations function. When it comes to sales, however, many members see sales as something of a black art – something they can’t apply structure to. This is a mistake. You’ve worked with entrepreneurial start-ups and global organisations. Is there a different view of sales and sales practices in each? LT: If you are a global organisation with a brand name like IBM, prospects are going to be more open to meeting your sales people on the off-chance they might be able to offer something of value. This isn’t the case when it comes to start-ups. Even if the start-up has a great idea, businesses are going to be less receptive to spending their time listening to their sales person because the perceived credibility is not always apparent. “Nobody ever got fired for choosing IBM...”, after all. LT: Exactly. The typical Vistage member will require a fairly high-calibre sales professional because they do not always have the luxury of being a global brand. In many cases, a business leader will employ a sales person who trained with a much larger brand and expect them to achieve the same success. This is unrealistic. A good analogy could be that a VW Golf. It is one of the best all-round cars ever made. When it comes to speed, however, it can’t compete with a Ferrari. The same is true of salespeople. If you’ve always Ferraris, you’ll grow frustrated selling Volkswagen Golfs, even though the product is great. Selling without a big brand name behind you requires more resilience, more preparation and, often, more commercial acumen. Vistage businesses need this type of a sales professional. Are there any other major differences? LT: IBM exemplifies the second major difference. Earlier I stressed the importance of adopting a sales process. IBM has gone to extremes on this point. At every stage of their business development process, the company uses an intricate system to ensure compliance and governance, to the degree that they over-complicate. An entrepreneurial SME must have more flexibility at each stage of the process. That’s not flexibility around compliance and governance, but flexibility around the sales person themselves. Smaller businesses can offer their sales team autonomy, whereas global businesses cannot afford to let their sales people use their entrepreneurial skills in the same way. So business leaders need be careful not to stifle sales creativity with bloated processes? LT: ‘Stifling’ is the right word. Vistage companies have a great opportunity to put structures in place without stifling creativity. You run a workshop on high-performance sales and leadership habits. What are some of those habits and why are they so important? LT: A high-performing sales force forms habits in three core areas. One is the developing the right skills and capabilities. The second is creating the right environment for people to be motivated to pick up the phone, follow up, reassure, and be willing to take more no’s than yeses. The third is ensure their sales teams are using sales systems. Today, companies are investing heavily in CRM tools and forecasting, so that some sales activities are becoming automated. Many companies have not managed to integrate these changes successfully within their sales teams. If you can find people who are highly skilled, highly motivated and ready to use systems, this offers the basis for effective sales performance. Finally, you talk a lot about developing a great sales culture. What does this look like in practice? LT: We recommend developing a sales and service culture. You can’t have sales without service, and you can’t have service without sales. Culture equals people and people equals behaviour. The culture of a business is the people in it, and the people in it are the behaviours they portray. Business leaders therefore should encourage their entire business to understand that they are part of the sales and service culture, whether they’re answering the phone, are on a production line or in accounts. When each part of the business considers themselves part of a sales and service culture, the result is a great sales culture. And a great sales culture means more sales! Thanks for Lars for taking the time to speak to us. You can still grab tickets to the Vistage Sales Leadership Forum in partnership with SBR Consulting. Register here.